We are often asked about what our Master Practitioner (MP) courses cover, who they are suited for and how to apply for them. 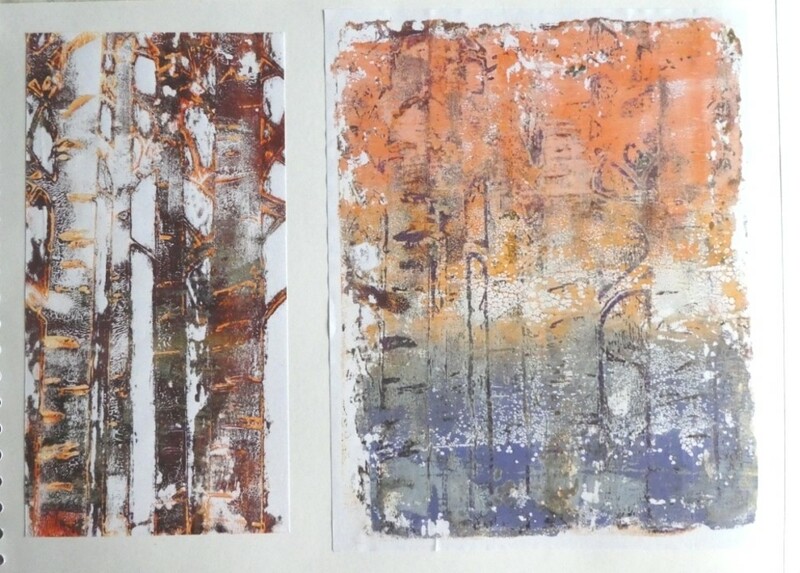 In this blog post I hope to answer some of the commonly asked questions and also showcase some photos of the work that our past and current students have produced during their courses. 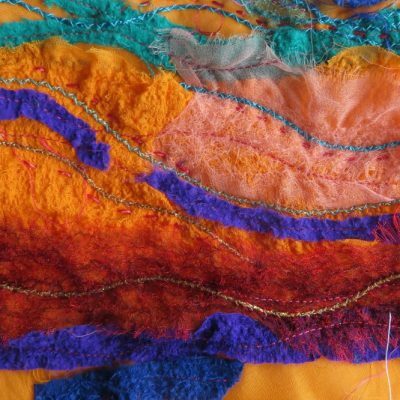 Our Master Practitioner courses are advanced textile art courses and are the ideal way to really challenge, enhance and promote the further development of your skills and creativity. 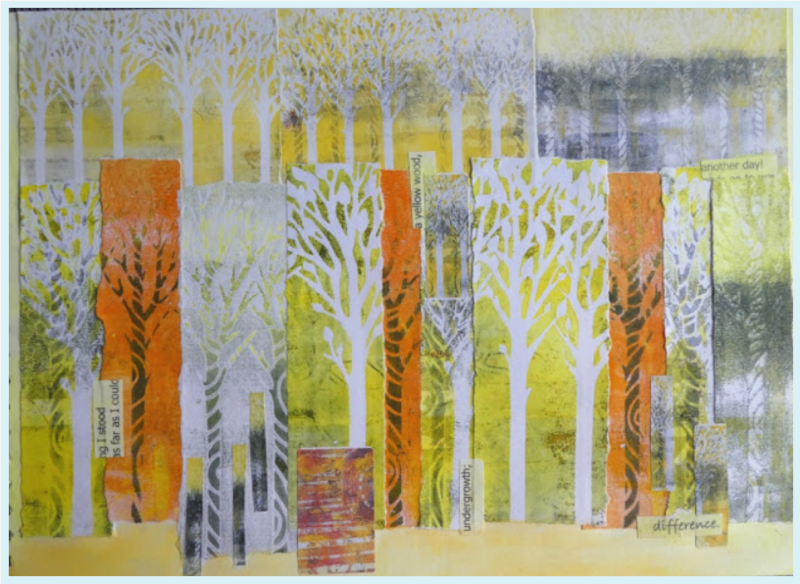 The focus of this course is to get you thinking creativity about your approaches, styles and techniques allowing you to experiment with new ideas and themes, whilst allowing you to control what techniques you wish to use. The MP courses are designed for those who have completed either a City & Guilds at Skill Stage 4 or something of an equivalent nature – perhaps a degree or diploma. When apply for this advanced course we ask to see a selection of photos of a prospect’s work to ensure they are enrolling on the right course for them – ideally 5-6 images of work completed in the last year or so. If the course tutor feels that the work is of the appropriate standard, they will recommend that the prospect be taken on as an active student. Unlike our City & Guilds Accredited courses which we only take enrolments on 3 times a year, students can enrol onto a Master Practitioner course at any time, meaning students can therefore plan an ideal time for their course to start. After you’ve been offered a place, you can tell the office how you would like to pay for your course module – there is a choice of either singly or the whole course at once. An invoice is raised and payment can be made online via Worldpay. Once payment is received, we send out a questionnaire to the student, asking them to tell us more about themselves and what they hope to achieve from their course, in which direction and techniques their interests lie and if there is anything that they never, ever want to do again! After we have this information, their tutor makes up a personalised module for each student, taking into account their preferences and interests. This usually takes around a week from receiving the completed questionnaire. The modules themselves aim to extend the formal textile education that students will have already received and to push them into what may for some, unchartered territory. In the first module we ask them to take inspiration from the invisible and explore music and verse as design sources. The following modules take inspiration from a journey and a favourite memory. Each module requires the student to produce a series of design work, samples and a final completed piece. 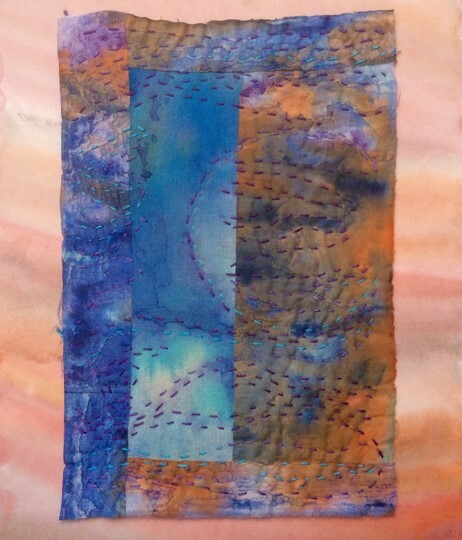 The MP courses are available as either Embroidery (hand or machine or a mixture of both) or Patchwork and Quitling. Module 1 – Inspiration from the Invisible: During this module inspiration will be taken from music and verse, producing a set of design ideas from these little used sources and then continuing through to sampling and eventually to complete a final piece of the student’s own choosing. Module 2 – The Journey – Highways and Byways: This module will take its inspiration from a favourite walk or journey, exploring items along the way, aerial views, sections and cross sections, maps, photographs and sounds. 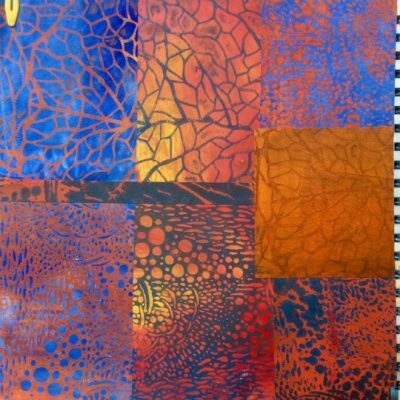 The next step will be to explore a series of samples using print, image transfer, positive and negative shapes, over prints etc. The student will then progress these two areas to a completed piece of the student’s choice. hey will begin by drawing and photographing, but then move into three dimensions in order to exploring three-dimensional construction methods, initially sampling with wire, paper and card and then moving on to a three dimensional piece of the students choosing. Each module is intended to last between 3-6 months and it is possible to speed up or take things more slowly, depending on the student’s circumstances or preferences. There is a maximum 3 year overall time limit set on completion of the full course. The student will receive written feedback on each module as it is completed, but we would expect an ongoing conversation between tutor and student throughout the course as things progress. 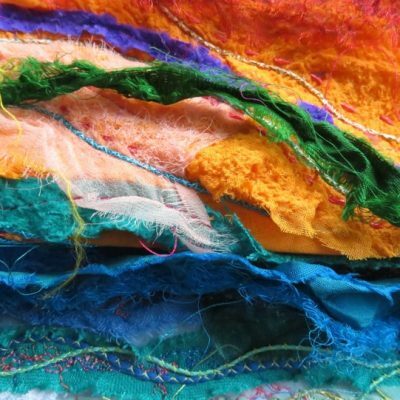 At the end of the course, the School of Stitched Textiles will awarda Master Practitioner certificate to the successful candidate.